Several styles of mounting posts are available from DKS. 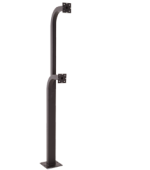 Architectural and designer style posts are typically used with the larger telephone entry systems and are available in gooseneck styles for vehicular traffic or straight styles for walk-up pedestrian use. 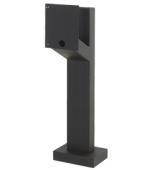 The mounting kiosks are ideal for walk-up pedestrian applications and are designed for DKS flush mount telephone entry systems only. 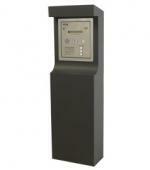 Both the designer style post and the walk-up kiosk include an accessory compartment that can house accessory transformers, surge supressers and a radio receiver. 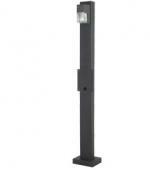 Additionally, the designer style post has an optional light tower that can be added to them. 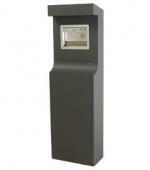 The standard posts are used with card readers, keypads and smaller access control devices. A dual-height style is also available for applications that have both vehicular and truck traffic.